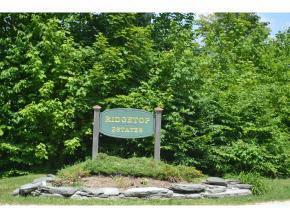 Build your dream home in this beautiful area with spectacular homes all around. Protective covenants, architectural review, minimum of 2500 sq. ft. Water and wastewater hook up fees included for 4 bedroom house. Views to Killington Northern border protected by assoc. land. Courtesy of Lenore Bianchi of Ski Country Real Estate.